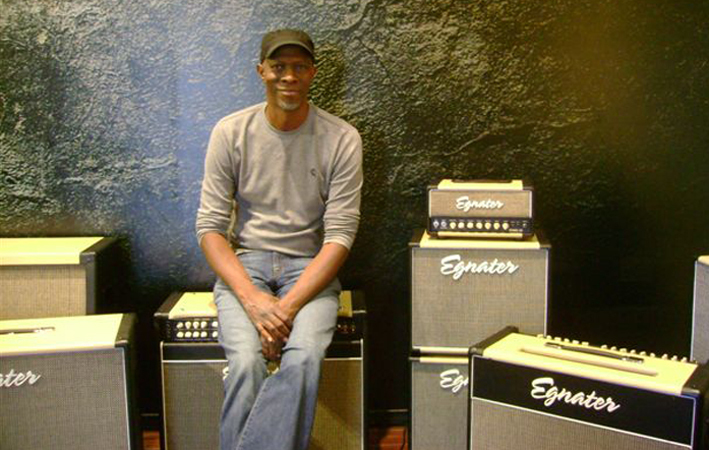 "I love Egnater amp because they sound great to me and I especially love the tone controls. The tight and the bright switch give me that extra little edge on the top and bottom. My favorite amp is the Rebel 30 with the 1x12 cabinet." The Reflection is the first new studio album by Keb Mo since Suitcase in 2006. These 12 songs are the product of an important period of personal and professional growth for the artist formerly known as Kevin Moore. In that time, he started a new family; moved from Los Angeles to Nashville; built a state–of–the–art home studio, and founded his own label, Yolabelle International, distributed by Ryko and the Warner Music Group. Keb Mo is a three–time Grammy Award winner for Best Contemporary Blues Album; and a key figure in the acclaimed 2003 PBS series Martin Scorsese Presents The Blues. But The Reflection is not, in essence, a blues album. In sound and spirit, it's closer to the work of African–American "folk soul" singer/songwriters such as Bill Withers, Bobby Womack, and Terry Callier. Indeed, tracks such as "My Shadow" and "Crush On You" would have fit neatly into Urban radio's "Quiet Storm" format at almost any time in the past 25 years. The Reflection brings together all of this singular artist's diverse influences – pre–disco R&B, American folk and gospel, rock, blues, and more – in a sound that is truly and uniquely his own. "I worked on this record for the better part of two years," says Keb. "It took me some time as this was an educational process for me and my engineer John Schirmer. I didn't want to let it go until I had something that I was proud to share with the public. It's the culmination of all of my influences throughout my career." Through all the changes of the past several years, Keb Mo found time to play a couple of hundred shows on several continents. He composed and recorded music for the acclaimed TNT series "Memphis Beat," starring Jason Lee and Alfre Woodward. And he wrote some of the best songs of his career for The Reflection – material strong enough to attract such notable guests as country music superstar Vince Gill ("My Baby's Tellin' Lies"), nouveau–soul chanteuse India. Arie ("Crush On You"), saxophonist Dave Koz ("One Of These Nights"), and veteran session guitarist David T. Walker ("All The Way," "The Reflection," "The Whole Enchilada").